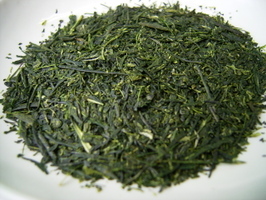 Japanese Tea Story : What is Sencha!? At a well-known tea shop in London, I found a tin of tea named “SENCHA”. I was so excited to know that Japanese green tea was there! BUT.... it was not. That “sencha” was from China. Actually, I’ve seen a lot of other non-Japanese green tea with the word of “sencha” as a part of its name. I believed that sencha is the tea from Japan, but it was not. I remember that there is Black Matcha made from black tea or Rooibos Matcha made from Rooibos in the US. The name of Matcha and Sencha seem to have developed a life of their own outside of Japan, ha, ha.